Inlaws & Outlaws will run at Seattle's Central Cinema for six Pride screenings June 16 through 18, 2009 Filmmaker Drew Emery will be on hand for Q&A's with the audience following each show. Never been to this local treasure? You're in for a treat! 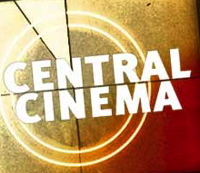 Located in the Central District at 21st & Union, Central Cinema is Seattle's only pizza & beer movie theater. How: Tickets are just $6 and available at Brown Paper Tickets or at the door. A neighborhood movie joint where we can enjoy good food to eat, a cold beer and fun movies. A place close to home with Themed Series, Feature movies in the evenings, and Independent Specialties. See your favorite movies how they were meant to be seen, on a big screen, with big sound, in a room full of people.